This stylish Artistic Weavers Guzora Moss accent rug is a high quality dicor option. Great quality is assured with this indoor/outdoor piece made out of plush synthetic material. High-quality and high fashion, this hand-made rug is perfect for you. Quality and style come first with this floral plants patterned orange rug. This modern Artistic Weavers Apoteri accent rug will instantly improve any room you place it in. Bring this high quality plush wool indoor rug into your home to upgrade your interior design immensely. This rug is comfy, hand-made, and stylish. Make a bold statement with this abstract patterned orange rug. Guzora Moss Orange 2 ft. x 3 ft. Indoor/Outdoor Transitional Rectangular Accent Rug This stylish Artistic Weavers Guzora Moss accent rug is a high quality dicor option. Great quality is assured with this indoor/outdoor piece made out of plush synthetic material. High-quality and high fashion, this hand-made rug is perfect for you. 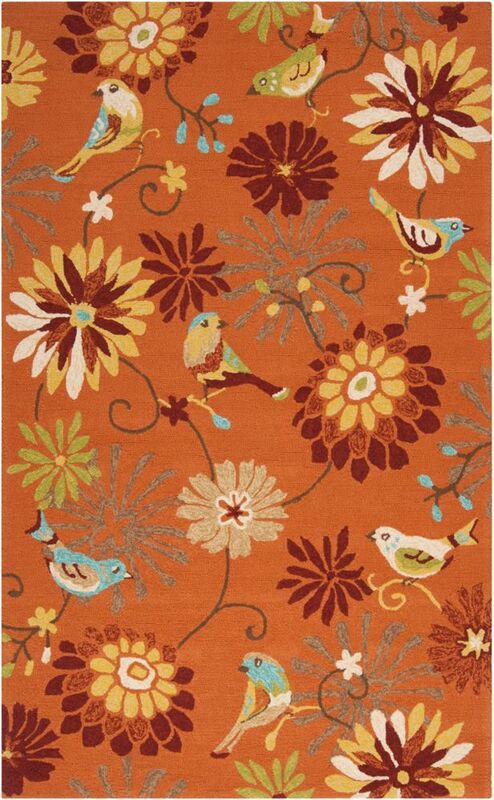 Quality and style come first with this floral plants patterned orange rug.